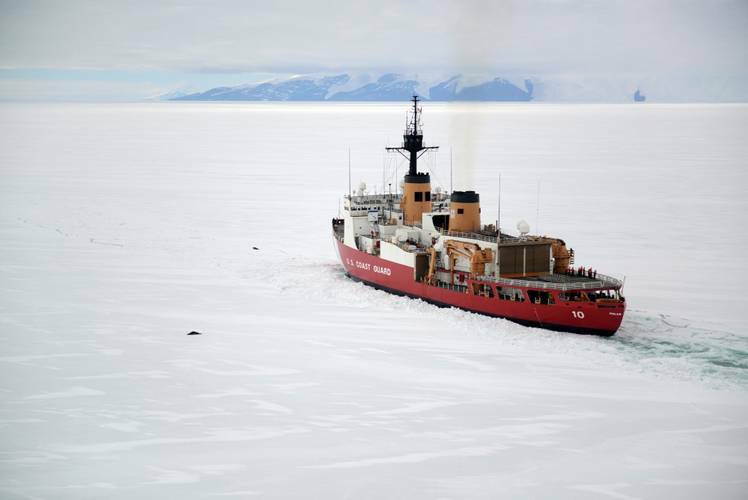 The crew of the Coast Guard Cutter Polar Star arrived at the National Science Foundation’s McMurdo Station Tuesday after cutting a resupply channel through more than 60 miles of Antarctic ice in the Ross Sea. By carving a navigable path through seasonal and multi-year ice, the Polar Star assists in the annual delivery of operating supplies and fuel for two of NSF's three U.S. research stations in Antarctica. 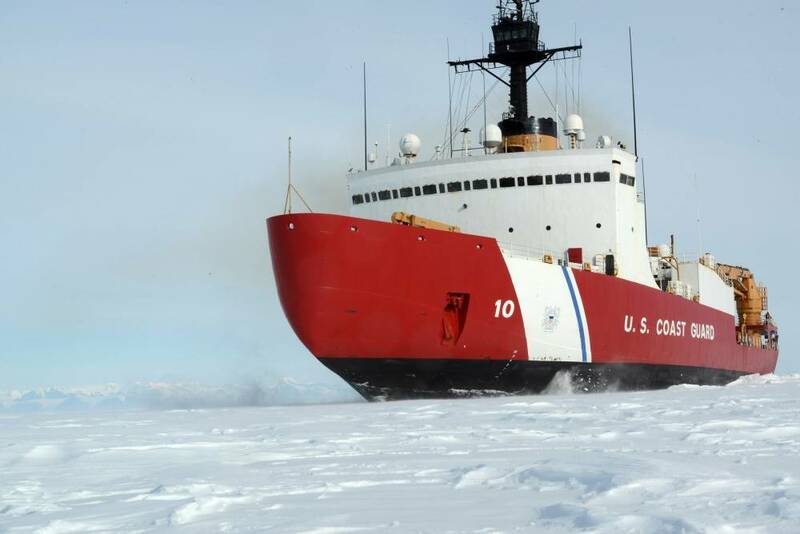 The Polar Star is America’s only operational heavy icebreaker that is capable of conducting the Antarctic resupply mission. The cutter, which was built more than 40 years ago, has a crew of more than 140 people, is 399-feet long, weighs 13,500 tons and uses 75,000 horsepower to muscle its way through ice thicknesses of up to 21 feet. In the past few years, the Polar Star’s crew worked through approximately 12 to 13 miles of ice in an effort to reach McMurdo Station. This year, there was more than 60 miles of ice to break, with thickness ranging from two feet to more than 10 feet. Ice placed under pressure by nearby land mass or glacial movement can cause considerable friction, often pinching the vessel between the two plates of ice that the cutter creates during the icebreaking process. Additionally, a snow layer can create resistance between the cutter and the ice, slowing the ship’s progress. After refueling at McMurdo Station, the Polar Star crew will continue to develop and maintain the ice channel in preparation of the first of two resupply ships, which are scheduled to arrive in the area in late January.